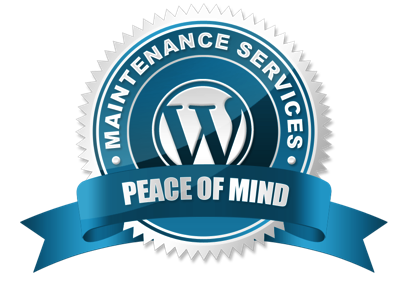 We offer a professional maintenance and support service for WordPress websites. Stay online, up-to-date, backed up and secure. Avoid the hassle of search engine blacklistings from malware attacks and have peace of mind knowing you’ve got scalable professional support when you need it under the watchful eye of some of the world’s top security professionals. The service includes all core updates, all in-application theme and plugin updates, regularly scheduled backups to our CLOUD storage, security monitoring and malware cleanup, database cleaning and optimization, up-time website monitoring in 5 min intervals and a free hour of professional WordPress support performed by quality WordPress developers. World class security monitoring and malware attack cleanup. Stop attacks before they start, eliminate malicious code if they happen; all included with our Regular monthly maintenance package. We specialize in providing effective security of WordPress websites, recovery of sites that have been hacked, infested with malware or otherwise compromised. Give yourself peace of mind by preventing future attacks. 40% people abandon a website which takes more than 3 Seconds to load! We perform the following actions to enhance your WordPress Website Speed and Google Page Speed Grades for better loading speed and SEO Signals. Having problems with your hosting provider ? – Moving to a better or lower priced hosting provider or you need faster loading times. – Pushing a local WordPress site to a live server. – Moving a site from a subdomain to the main domain.